I recently came across a sign that warned of "surveillance cameras in use"... while I'm really not concerned about being captured on camera, it does give me pause that we need to have areas patrolled via video 24 hours a day. 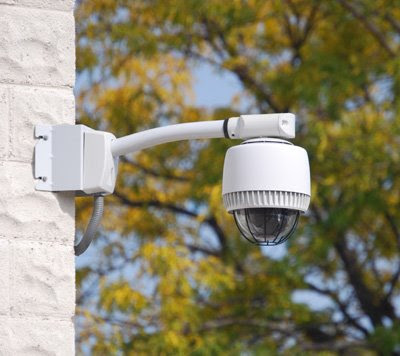 This camera is part of a neighborhood watch program, and a number of these have been funded by local businesses to help keep an eye on certain areas. I guess if it helps to reduce crime (or at least catch the perps), it's not necessarily a bad idea. That said, I don't think it's a good idea to keep an eye on everyone all the time.